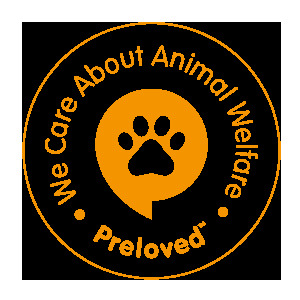 WE ARE FULLY LICENSED BY BRAINTREE DISTRICT COUNCIL, UNDER THE NEW ANIMAL WELFARE REGULATIONS 2018, SELLING ANIMALS AS PETS AWARDED 5* AND EXHIBITION OF ANIMALS. WE ARE CURRENTLY THE ONLY BUSINESS IN OUR LOCAL AUTHORITY LICENSED TO SELL GOATS, POULTRY AND ALPACAS. EASTER 2019 - WE ARE BACK TO OPERATING A WAITING LIST - DUE TO HUGE DEMAND FOR OUR PYGMY GOAT KIDS. Lots of colours and choice. We own a large herd of pygmy goats and at various times throughout the year we offer disbudded or naturally polled pygmy goat kids for sale to good pet homes. Our goats can only be sold in the minimum of a pair. Goats are herd animals and need to be with their own kind. Our goats are either disbudded by our vet or are naturally polled (carry the homeless gene). This makes our goats the ideal choice if you have young children or pets or other livestock. Our customer base includes families, schools, farm parks and zoo's. Our goats get the best start with the following administered: E coli prevention, Coccidiosis prevention, internal parasite control, external parasite control and clostridial vaccination. We give new owners a feet trimming demonstration/lesson. New owners receive our Husbandry Handover sheet on collection. Our customers all receive: our new owner guide, health guide, poisonous plant information, disbudding information (if applicable), our Essential items guide plus discounts on Hay Hutches. Our goats only leave us when fully weaned and independent. (Parent stock can be seen here on farm. ) Our goats leave us double tagged as per Defra regulations. To own goats you must have a CPH number, these are free to obtain, just involves a simple telephone call. To go on our waiting list please telephone the contact number listed. Please note collection and viewing is on our smallholding based in North Essex. WE ALSO HAVE SPACES ON OUR 25 MAY 2019 PYGMY GOAT KEEPING COURSE. PLEASE CONTACT US FOR DETAILS. COURSE £50 PER PERSON.